Nutritional Yeast: What The Flip Is It?! 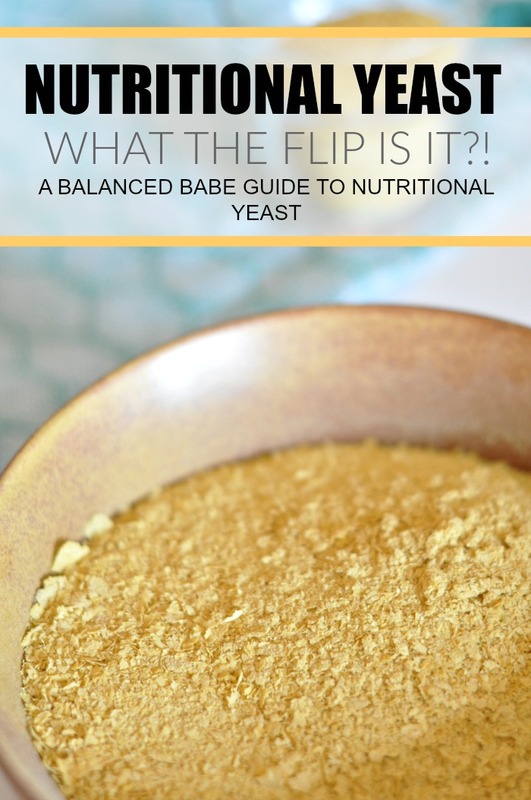 Home / Whole Food Healthy Recipes / vegan / Nutritional Yeast: What The Flip Is It?! by Sarah Baker1 Comment on Nutritional Yeast: What The Flip Is It?! You’ve seen it in a gosh darn lot of my recipes, and you may be scratching your head wondering why the heck I’m adding nutritional yeast to my food. Before I knew about the beautiful benefits of nutritional yeast, I thought it was some nasty food additive that would taste bland, and well, yeasty. Turns out, this type of inactive yeast is now a staple in my pantry and an ingredient that I use all the flippin’ time. 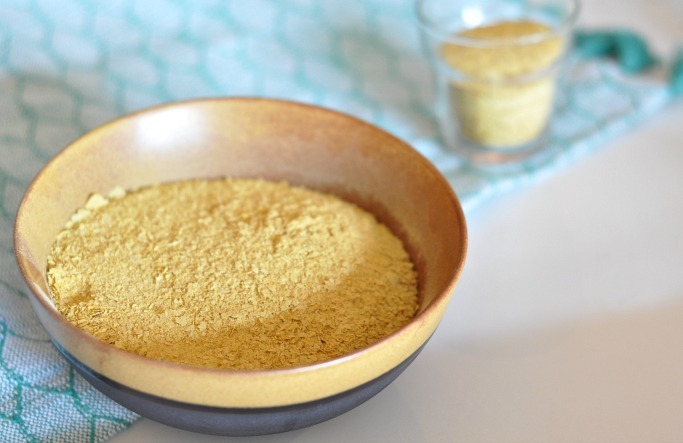 So if you’ve been wondering to yourself what in the world nutritional yeast is when you go to make one of my recipes, then I’m here to give you the complete guide to one of my favorite healthy ingredients. Nutritional yeast starts out as an organism from the fungi family (like mushrooms) that grows on molasses and then is harvested and dried with heat to deactivate it. You know how baking yeast has the purpose of fluffing up baked goods? That’s because it’s active. So when nutritional yeast is deactivated, that means it does not have any sort of leavening ability. PHEW – cause I used to be afraid that it would for sure bloat up my belly. Don’t Get It Confused With Brewer’s Yeast. I want to make sure this is loud and clear one more time. Nutritional yeast is not baking yeast or brewer’s yeast. So please do not think you can interchange the two. Do not use brewer’s yeast in your recipes that call for nutritional yeast because then it will cause an ugly science experiment in your kitchen. Likewise, do not use nutritional yeast in your baked goods thinking that it will have leavening power, because it will not. You can definitely still add it to baked goods like muffins, but it wont have any “fluff it up” effect. Obviously this yeast is packed with benefits (hence its name). It contains so many vitamins and minerals that have beauty boosting properties – which I love – like selenium, zinc, folic acid, and B Vitamins. I want to also highlight the fact that it contains Vitamin B12 which is a B Vitamin that is hard to come by when you’re a strict vegan. So nutritional yeast is the perfect addition to reach your daily dose of vitamins. Make sure that you read the labels of different brands before you buy since some do not contain vitamin b12 and not all are gluten free. It’s also a great plant based source of protein. It contains 18 amino acids and almost half of them are specific ones that youre body cannot produce on its own. You can use it to create vegan cheeses like this creamy cheese sauce that is the PERFECT blend to make spinach dip with. It bulks up and gives flavor to soups (like this cream of celery soup). It still tastes great in baked goods – like these zucchini biscuits. You can add it to your veggie burgers. It gives flavor to your tomato sauces for pasta’s and more. They help vegan meatballs stick together. And they all around just make everything taste great. You can find nutritional yeast at places like Whole Foods or local health foods stores. It’s not main stream enough to be in Jewel or TJ’s — I hope soon though. You can also find a whole bunch of brands on Amazon like Braggs or Hoosier Hill Farms. 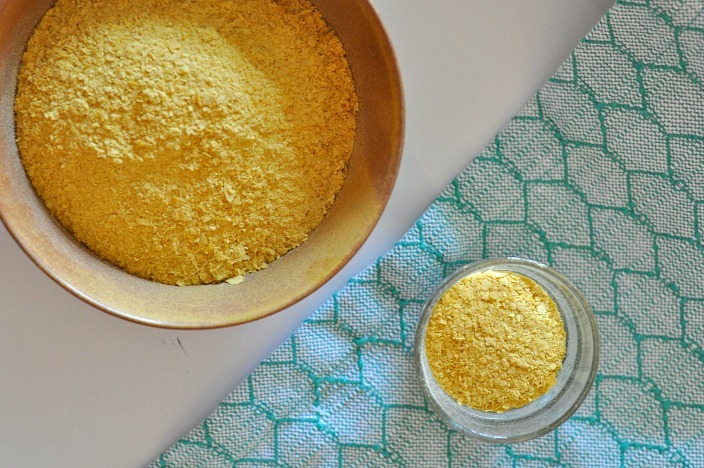 If you also love nutritional yeast like I do, what are some of your favorite ways to use this ingredient? Share in the comments below!